Chocolate, wine and girlfriend time! This was one of the first programs I created and still one of the best places to build relationships in AZ! 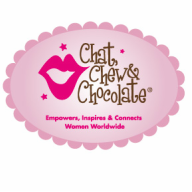 There are 4 CCC clubs in AZ and they are wonderful, friendly communities of amazing women and a great place for ALL types of women to connect. Attend monthly events. No membership. Pay as you attend. Chocolate, wine & girlfriend time!